Welcome back to the Bloggers Bake along to GBBO, this week featuring cakes! The first episode of the new series of GBBO was certainly exciting, and it saw the bakers taking on Madiera cakes, A frosted walnut cake and the showstopping Black Forest Gateau. 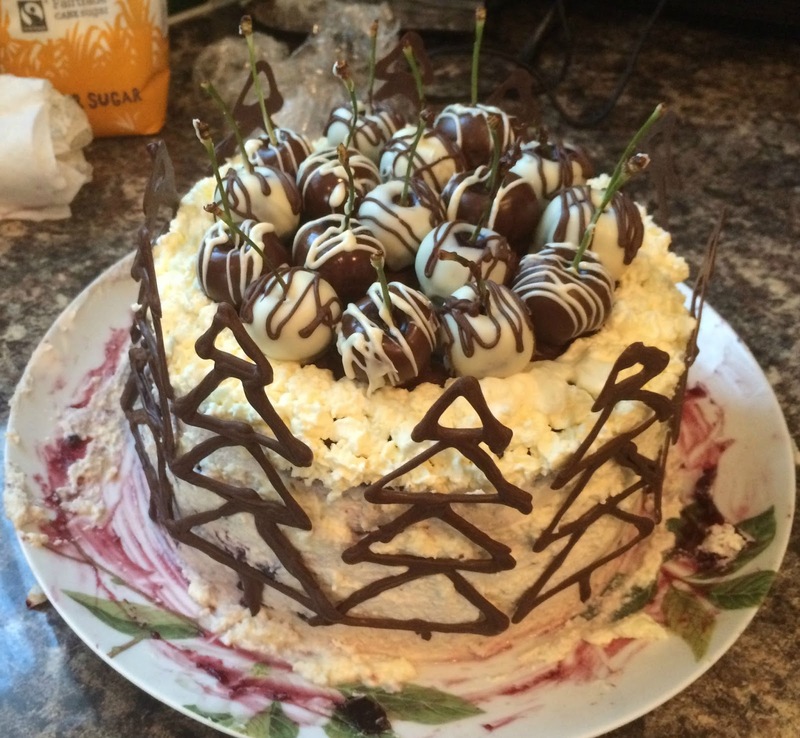 As it is Tim's Birthday BBQ today I let him decide what cake I would make for him, and he of course settled on the Black Forest, one of his favourite flavours! I started with the chocolate cake, by whisking 6 eggs and sugar together until they reach ribbon stage, then folding in the flour and cocoa powder. 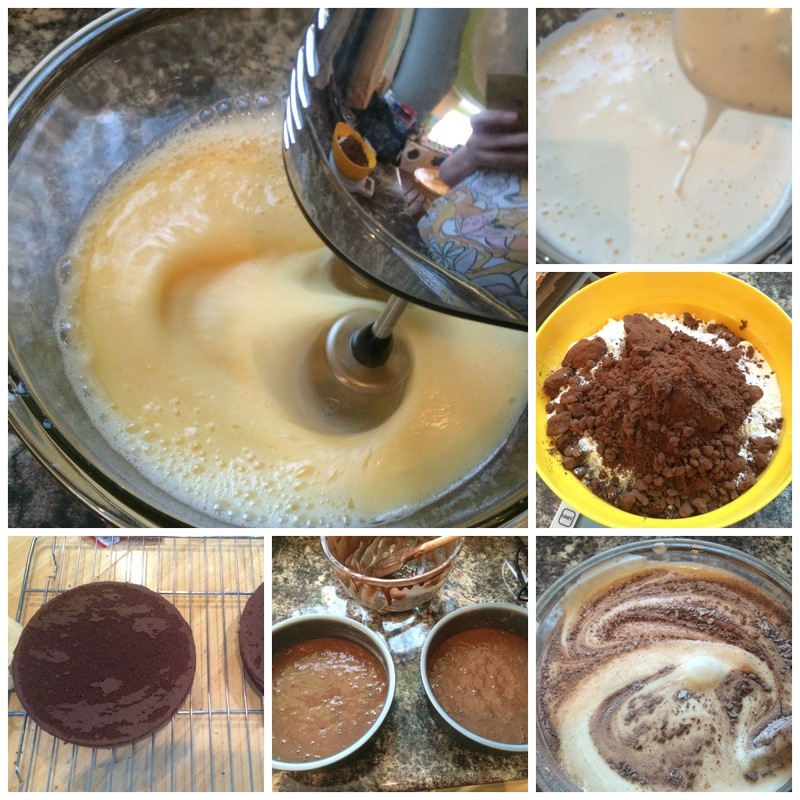 Before dividing the mixture into the tins, and baking for 25 minutes. Whilst that was baking I moved onto the cherry mixture, which started with draining the cherries and chopping them into quarters, which honestly took me forever! Then I placed some cornflour in a saucepan, mixing in a little of the syrup until it was like a paste, then I adding the rest of the syrup, bringing it to the boil, stirring constantly until it thickened... It seemed to thicken almost instantly so it's definitely something you'd want to watch! 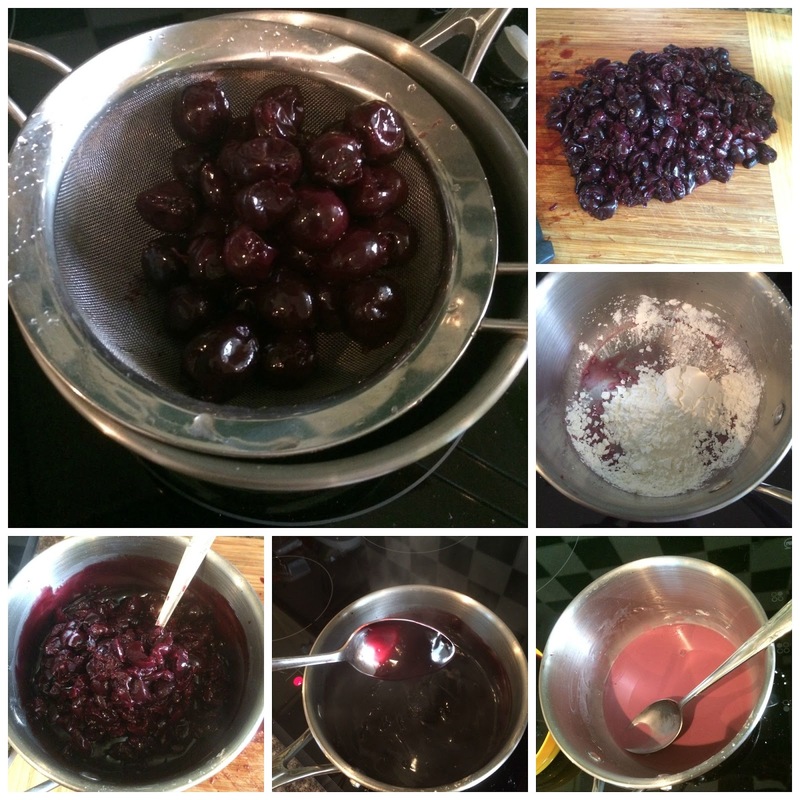 Then you stir in the chopped cherries, waiting for it to cool before putting it in the fridge to chill! Then it was time for the chocolate work! So I melted white and dark chocolate, which I prefer to do in the microwave as I feel like it happens much quicker! All you need to do is put the chocolate in on 10 second bursts, stirring in between until it is melted. Then I had to dunk 20 cherries in the two different kinds of chocolate, once that was set I placed the remaining chocolate into two piping bags and carefully zig-zagged it over the cherries. 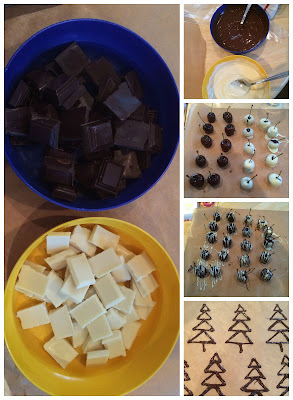 Then using the rest of the Dark chocolate I piped some trees for decoration! 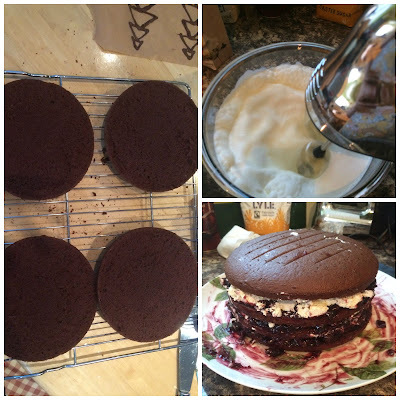 Then all that was left to do was to cut my two sponges in half, and whisk the cream, then putting it all together following the instructions in the book! This recipe was SO tiring, I don't know why, but it was still great fun to make, and it turned out really well! I cannot wait to see people's reactions to it later on today... Don't forget to check out the bakes by the other bloggers below!